Shopping for a new BMW X1? The X1 doesn’t get much better by throwing more money at it, a popular equipment package for $2,500 and heated seats is as far as we’d go. The 2019 BMW X1 crossover is the automaker’s most affordable model for this year, and it’s the right shape. 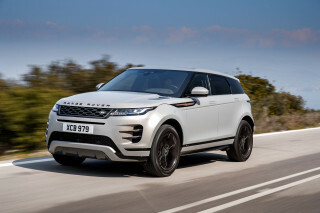 Buyers likely will be attracted to the tall ride height, spacious cargo area, BMW roundel, and relatively low price tag at $36,000, but we like the things that we can’t see. The X1’s engine is bright and its transmission is sharp, too. This year, the X1 is equipped with standard low-speed automatic emergency braking—lifesaving stuff—and free Apple CarPlay for a year. We don’t mind the X1’s looks, but we’re not in love with them anymore. The small BMW crossover blends subtle shapes with a bright cabin, but budget materials peek through in places. The cladding is a little heavy, and on less expensive versions, the interior material isn’t up to BMW’s par. It’s engine is—a 228-horsepower turbo-4 appears in many models, including the X1. Mated with a 8-speed automatic, the punchy turbo-4 is sharp. We like the telepathic 8-speed automatic for its responsiveness. 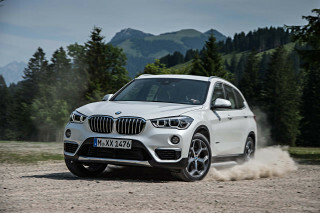 Front-wheel drive is the default configuration, but BMW sells all-wheel-drive X1s for $2,000 more. Front-seat riders get the best seats in the X1, but the seats aren’t very shapely and can feel flat for long trips. The X1’s cargo space delivers on the crossover promise, more than 27 cubic feet in the back with the seats up. This year, the X1 boasts standard automatic emergency braking and lane departure warnings. Federal and independent testers gave the crossover mostly good marks, and outward vision is good. Every X1 is equipped with 18-inch wheels, synthetic leather upholstery, a 6.5-inch infotainment screen, Bluetooth connectivity and Apple CarPlay compatibility for one year. After the first year, Apple CarPlay costs $80 per year; we’re already spending too much for the phones themselves, why charge us more? The 2019 BMW X1 doesn’t commit any sins, but it’s in need of a refresh. The good news? We don’t think the X1’s exterior will be dated tomorrow. 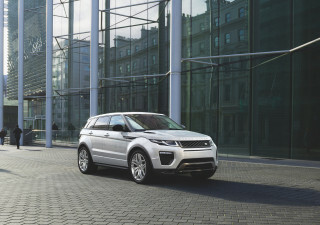 It eschews the macho trend du jour of other crossovers and blends elegantly flowing shapes into a cohesive package. The kidney grilles up front are the biggest indicator of the X1’s parentage; if you got rid of them would it still look like a BMW? Darker colors look best and hide some of the cladding on the lower half of the X1. Any color other than black or white costs extra, unfortunately. Ultimate driving machine? Maybe not. 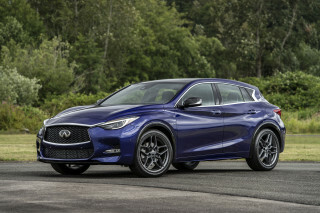 At least the 2019 X1 has a very good engine and transmission. The small 2019 BMW X1 packs a surprisingly large punch. 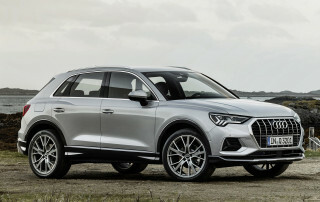 Powered by a corporate turbo-4 found in many other models, the new X1 makes good use of the engine and its standard 8-speed automatic to squirt around town or cruise comfortably on long hauls. Base cars are front-wheel drive, but all-wheel drive is available for $2,000 more for cold-weather buyers. The only engine is a 2.0-liter turbo-4 that makes 228 hp and 258 pound-feet of torque. BMW says the X1 can speed from 0-60 mph in 6.3 or 6.6 seconds, with or without all-wheel drive, respectively. 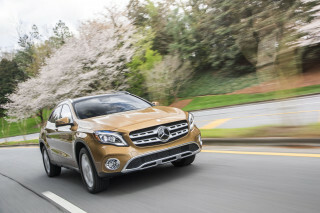 The slick-shifting 8-speed automatic is more noteworthy to us. All X1s are equipped with a drive selector switch that changes shifts and throttle response accordingly. Comfort is lazy like Sunday mornings, Sport firms up the entire operation for quick bursts. BMW’s all-wheel drive can send all its available power to the rear wheels in limited circumstances, good since sometimes we’re less restrained than small children. The standard 18-inch wheels are more comfortable than optional 19-inchers, but the best ride comfort is found by swapping out the standard run-flats with regular tires with more sidewall flex. The swap is free but BMW requires that buyers opt for a spare donut that costs $150 to get the non run-flats. It’s worth it, we say. The X1’s ride is composed, but closer to stiff among new cars. The crossover darts in and out of corners better than we expected for a tall-riding crossover, but with big wheels and no give, it can crash over some bumps. The X1’s steering is firm and prompt, but not communicative. Spacious but small, the 2019 BMW X1’s seats are the only blemish for the small crossover. Part of the appeal among small crossovers like the 2019 BMW X1 comes from its big rear hatch and high-riding feel. Once we face the right direction, we see how the X1 can be the least expensive way into a new car with a BMW roundel. There are a smattering of low-cost surfaces and thin materials. Those concerns aside, the X1 offers good vision forward thanks to a low dash. In back, two adults will fit comfortably, or three for a short stint. For more money, the X1’s rear seats can recline or slide forward for more comfort or cargo flexibility. Behind the rear seats, the X1’s hatch holds 21.7 cubic feet of cargo, or 58.7 cubic feet with the second row tumbled forward. Official scores for the 2019 BMW X1 are mostly good, and made better by standard automatic emergency braking. BMW’s standard automatic emergency braking met federal criteria for forward-collision warnings, but critically didn’t avoid altogether a forward crash. In a low-speed, 12-mph test, the system slowed the X1 down by 10 mph, and in a faster, 25-mph test, the system slowed the BMW down by 7 mph. Some systems can stop the car altogether. The standard active safety suite includes pedestrian detection, lane departure warning, and automatic high beams. The X1 includes a standard complement of front- and side-impact airbags for all belted passengers, and its outward vision is mostly good for a crossover; the thick rear roof pillars can be a hindrance. The X2, which is related to the X1, has poor outward vision. The 2019 BMW X1 is the automaker’s most affordable model in the range, but that doesn’t mean it’s cheap. The 2019 BMW X1 is the most affordable vehicle in the automaker’s lineup for 2019, but it doesn’t stay that way for long. The small crossover includes a good list of standard equipment, but its value is stretched at nearly $36,000 to start. Even adding color to the X1’s exterior is a spend-up extra; black or white is free. We wouldn’t stay long with the base model, and we don’t imagine many BMW shoppers will either. 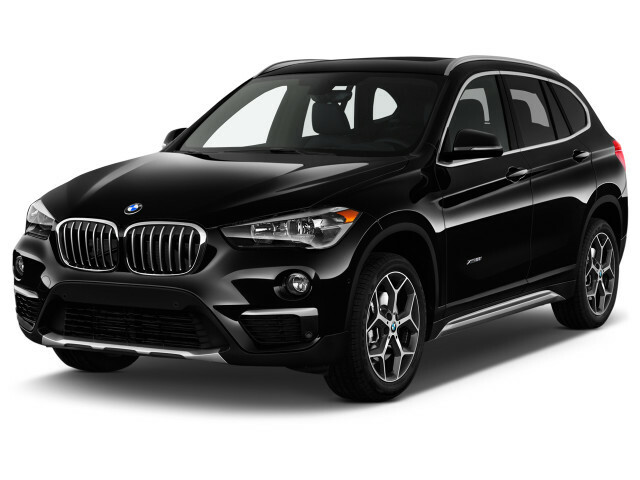 All-in, a 2019 BMW X1 with all-wheel drive, an M Sport package that includes adaptive dampers, upgraded infotainment, leather upholstery, wireless smartphone charger, moonroof, sport seats, navigation, and an 8.8-inch infotainment screen, can cost nearly $50,000. That’s too close to a reasonably equipped X3 with all-wheel drive, good options, and more space—and we like the X3 more, anyway. We’d add to the X1 a semi-sane $2,500 popular equipment package that includes keyless ignition, a panoramic moonroof, and satellite radio with a one-year subscription. Heated seats are an additional $550 on top of that. That keeps the bottom line (barely) below $40,000 for a front-wheel-drive model. All-wheel drive is a $2,000 spend up extra, but at least removing the rolling-rock run-flat tires is a no-cost swap. The BMW X1 keeps pace among small luxury crossovers with a relatively frugal turbo-4. Official data from the EPA isn’t yet available for the 2019 BMW X1, but considering the car’s similarities to the 2018 version, we can confidently carry those numbers over. Opting for front-wheel drive only bumps those numbers up slightly: 23/32/26 mpg. Among small luxury crossovers, the X1 keeps pace. 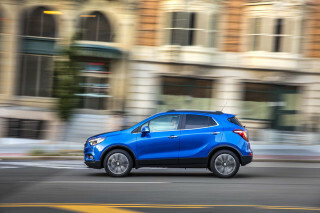 The Mercedes-Benz GLA Class and Infiniti QX30 are rated up to 27 mpg combined, the Buick Encore manages up to 28 mpg combined. For efficiency-minded buyers, the Mini Cooper Countryman SE All4 is mechanically related to the X1 and offers a plug-in hybrid powertrain that can power the car for up to 12 miles on electricity alone. Once its hybrid batteries are depleted, the Countryman rates 27 mpg combined. The X1 is rated for premium fuel.